Training in MMA can leave you stretched, literally. ...it should! Stretching just doesn't get the attention it should in MMA training. It often regarded as "trivial" and looses out to "more important" things like power and accuracy. But truth be known, stretching is way more important and useful that many practitioners realize. Among the benefits of stretching is that it makes you much more flexible. That's really no big secret but the benefits of stretching are underestimated for sure. First and foremost, how can you possibly expect to reach your highest potential if you limit your body's movement capabilities? It's impossible to do. There are those who do know the importance though, like Jon Fitch as pictured above. UFC Middleweight fighter Alan Belcher has been reported as getting so into his stretches, he looked like a contortionist. Fitch and Belcher are among those who know that when you are more flexible, you'll have a much more successful training session. When you are stiff, the opposite will occur and you simply wont have a successful workout at all. Flexibility not only adds to your workout but to your game as well. Look at it this way: Imagine if you only had the flexibility to kick-lift your feet in to the point where they are only reach slightly over the waist. Would you have the ability to deliver head kicks with such a limitation? Would your ability to use your guard be as effective if your range of motion was so limited? More than likely, you would not be able to get the most out of your performance with such limitations. That is why the need for increasing flexibility is so very vital. Now none of us like constraints. Whenever you have constraints on how your body performs, you will be limited in your performance. For those of us who want to be top athletes it would be wise to expand your attributes in as many ways possible and get rid of anything that holds you back or limits you in any way. Flexibility is a key attribute to have and not having it is harmful to your performance so in a nutshell, that is why it is worth developing. Mobility on the ground is also enhanced by increased flexibility. Far too often, people will put too much emphasis on bridging, exploding, or other performance charged movements. They spend precious little time on flexibility for grappling. This is a mistake because a wider range of flexibility will free the body to perform on the ground in ways it otherwise would not. That means your athletic skill and performance will be boosted to a much higher level as a result. When you will really notice it is when your opponent doesn't have mobility...and you do! Also, there is an old saying: "The more time you spend stretching, the less time you spend injured." I know this was the case for me. I would frequently pull my groin if I didn't stretch well. When you are flexible, you reduce a number of potential serious injuries. Rather that put yourself in such danger, wouldn't it be smarter to invest a decent amount of time enhancing your flexibility? When you are injured, you also end up losing training time. There's nothing worse than having to sit out an injury. When you aren't flexible and limber, you also run the risk at not being able to reach your prior peak success levels when you do return. Nagging injuries can create limitations that permanently alter performance too. So, if you want to avoid injuries, investing time in boosting your flexibility is highly recommended. Does all this mean you need to invest significant amounts of time in the process of increasing flexibility? Honestly, a few minutes of stretching a day would get you significant results over time. Attending one, one hour yoga class a week consistently would also potentially deliver great results. You don't need assume you have to go all out to see increased flexibility gains. I am a firm believer that progress, not always stressing on perfection, is way better than nothing at all. You can always multi-task and stretch on the Versaflex while watching TV. This is what I do and, boy, does it help! I am not a Yoga fan so this is my choice. Now yoga of course is excellent for you I just am too antsy to be that still! The fact is that an increase in flexibility will lead to an increase in MMA performance. 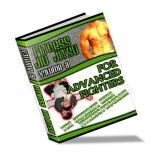 This is something that is not deniable and that is why anyone serious about succeeding in MMA needs to make flexibility training a regular part of their exercise regimen. I just happened to use the Versaflex but you have lots of choices but do yourself a favor and do choose one. Just remember, to excell in MMA, you are going to have to stretch yourself...literally! 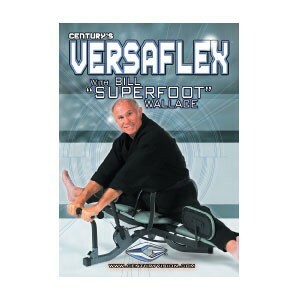 Bill Superfoot Wallace introduces Century's VersaFlex and helps you to gain maximum flexibility with it. In the instructional DVD, Bill shares ideas that will enhance ability to perform in any environment. A stretching machine, like the Versaflex, is optimal for an ultimate stretching experience but if you are just not able to afford one, you can still stretch. 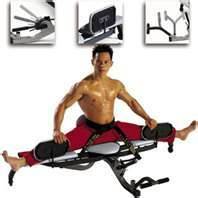 This Kwon Leg Stretcher is around $50 and is an affordable option to elite machines. It is portable so you can take it to workout with a friend or even on vacation. 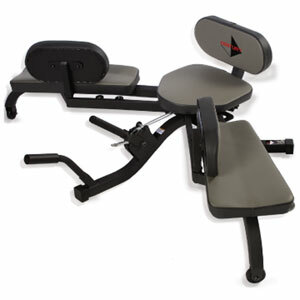 It's made of metal featuring a variable central traction bar and two leg extensions with soft foam rubber grips. No, it's not a Versaflex but if your budget is stretched, at least your body will be too!